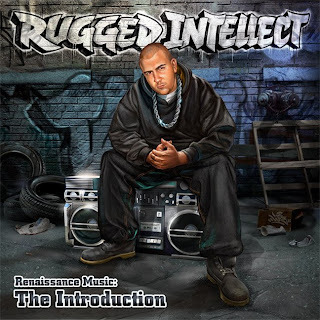 Expertism Music Group is proud to announce the release of Rugged Intellect's debut LP, entitled "Renaissance Music: The Introduction." The hottest newcomer in the industry, Rugged Intellect's lyricism is compared to Rakim and Big Punisher, an easy and accurate comparison. Hailing from Montreal, Canada, Rugged's multi-lingualism combined with his multisyllabic, relentless rhyme schemes position him as a unique voice in the hip-hop industry. Production is handled by Domingo, Buckwild (DITC), Memo (Molemen), Montreal's Apokalyptik and Executive Producer Adam Sampler. The album was given 3.5 Mics in The Source Magazine (May 2007), quite an accomplishment for a new artist with no major label backing!